Caution: Go for a credit check! Are you sometimes uncertain why your application for a loan or account has been declined? Are you unsure to whom you still owe money to? We’ll in this article I will give a few reasons to undergo a credit check. A credit check will give you detailed information on your credit history and status. A credit check can be very helpful for when you are interested in buying a new car, home, clothing accounts etc. Be sure to be ready for when you go for an application by getting a credit check. Nowadays, thanks to the internet you can now even apply for a free credit report. Don’t pay if you don’t need to. A lot of companies will give you a free credit check where others might charge you a minimal amount. So “shop” around, you can find some good deals on the internet. A good thing of a credit report is, is that you will know exactly where to “pay” attention first. Make sure you know what your credit is like before you apply for credit. Because being denied by a credit company can be harmful to your credit history. By obtaining a credit report will give you the right information on your current credit status. Another good thing from getting a credit check is that you will know where to sort out your current debt en outstanding credit. If you have sorted out your credit threats then you will also be liable to lower interest rates and fees for when you apply for you next loan or mortgage. 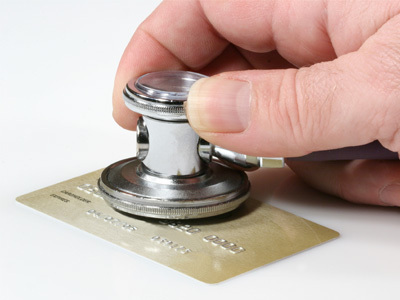 By undergoing an annual credit check will also make you see if you have been a victim of fraud. Because you can see exactly where your money has and is going to. Credit and identity fraud is a very serious and realistic problem in South Africa. It is very wise to make sure that you are not a victim. By applying for a credit check can also whether your budgeting has been good or bad. By knowing that, you can easily establish where you have gone wrong, and correct it. This will make budgeting for the future a lot easier. To conclude. It is thus clear that by getting an annual credit check can be very beneficial if not mandatory to you and your current credit status. The more knowledge you have now the better for the future.